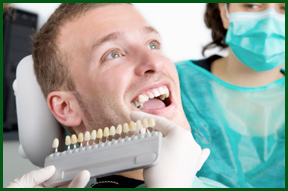 Cosmetic dentistry used to focus on restoring or replacing problem teeth. Today, cosmetic dentistry can accomplish so much more, correcting appearance issues both big and small. From simple teeth whitening to complete smile makeovers involving orthodontics such as Six Month Smiles, Dr. Rang creates beautiful smiles with procedures that fit in with your modern lifestyle. We also offer cosmetic bonding and, for those who’ve lost teeth, implant dental procedures, giving you plenty of options when it comes to reshaping your smile. Dr. Rang will consider your goals and natural facial aesthetics to create a cosmetic dentistry treatment plan to help you express your individuality. Don't let cosmetic dental issues either minor or major discourage you from smiling. Let Dr. Rang perform your smile makeover today to rebuild your smile and self-confidence.